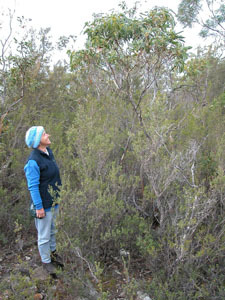 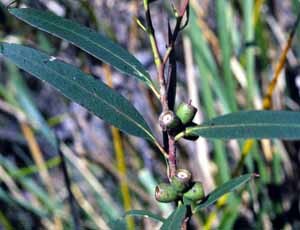 Eucalyptus barberi is a spindly mallee form eucalypt of dry forest near the east coast, usually growing under taller eucalypts. 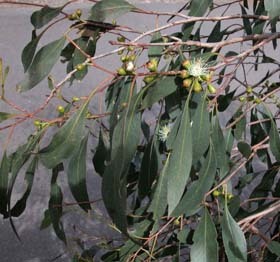 It has seven fruit per umbel. 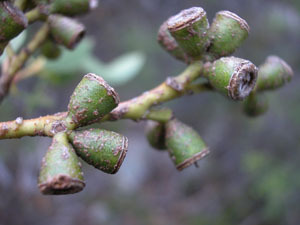 It is closely related to E. ovata, E. brookeriana and E. rodwayi.